PwC aims to be fully circular by 2030. The organisation is implementing new measures to make mobility, procurement and energy & waste management more sustainable. 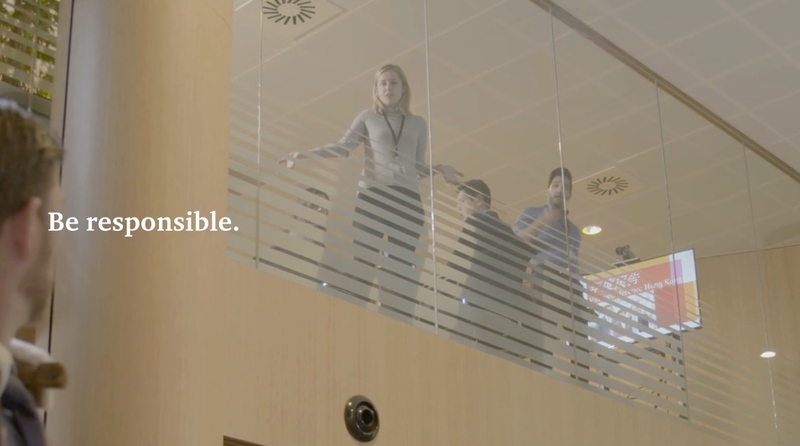 To realise this ambition everyone at PwC needs to be on board, management and employees alike. PwC asked Makmende to create a campaign that would inspire and activate employees, while also enabling them to convey this circular strategy to external partners and clients. We created a variety of creative assets, each with a different communications goal. 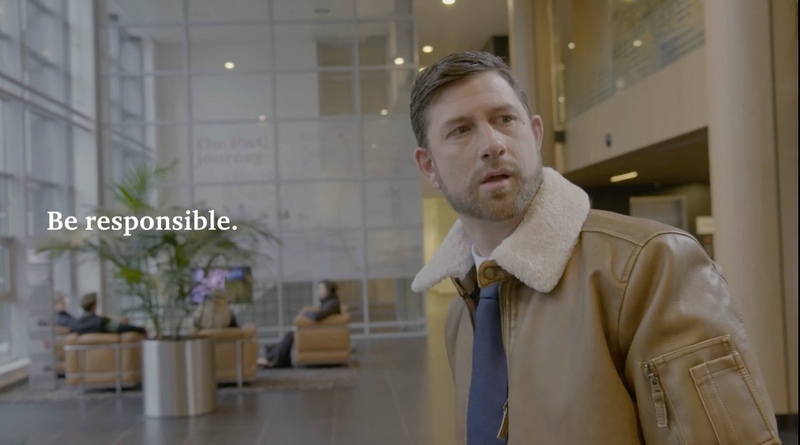 First we produced a corporate film to explain PwC’s purpose and the company’s approach to circularity. 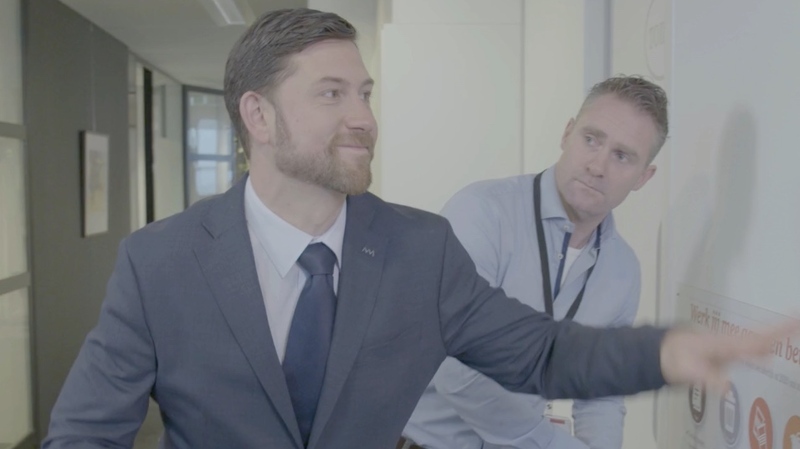 We then created 2 short videos with clients of PwC (Douwe Egberts and ABN Amro) speaking about their own sustainability effort and the collaboration with PwC. Finally, we created a series of short comic sketches to persuade employees to change their behaviour. Most people don’t like to change and they certainly don’t like to be told they should do things differently. To get PwC employers to look critically at their own behaviour we created a series of comic sketches featuring a fictionalised character, a caricature of the ‘old-school’ (unsustainable) PwC employee. Holding up a mirror to behaviour most employees recognise. Because, sometimes humour is more effective than arguments, to get people to change their ways. All content was published on the PwC’s internal network and it was very wel received by the employees. Still the proof of the pudding is in the eating. PwC will evaluate the campaign and the changes in behaviour after the summer. Stay tuned for updates on these results. Creating impact is often a matter of changing people’s mindset and behaviour. Get in touch with us to discuss how communication can help you achieve that.